China Teapots of the 1700s: Are They Still Chinese? particularly because 16th- and 17th-century-Europeans seemed more concerned about teapot design—and the status it embodied—than about how the tea tasted in the pot. The Chinese, after all, preferred using porous stoneware teapots, which slightly retained tea’s aroma and flavor. 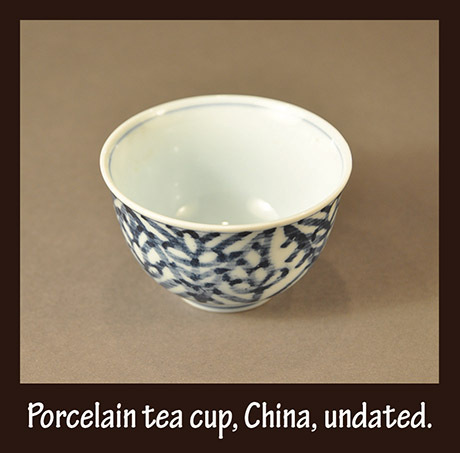 So porcelain teapots, in both shape and ornamentation, quickly and increasingly reflected Western preferences. The goal, after all, was to make money. As tea and coffee became more available, prices dropped—making tea and coffee more accessible to the middle class—but that third new European drink remained an elite beverage. Therefore, savvy merchants commissioned chocolate cups with handles. * These more breakable cups obviously could command higher prices. Meanwhile, the absence of a handle on teacups—and the presence of a deep saucer—informed tea drinking etiquette. First off, a saucer was useful to hold that tea-spoon (see teaspoon post). Second, because gracefully holding a thin porcelain cup filled with steaming hot liquid was liable to be really challenging, people held the saucer instead. And poured tea into the saucer to cool it. And drank directly from the saucer. Eventually the upper classes wanted to re-distinguish themselves from everyone else: drinking from the saucer became gauche. And that pesky problem with the tea leaves clogging the teapot spout? The imported china or porcelain teapot of the late 1700s was a very different thing than those first teapots that delighted the Europeans. What began as Chinese in inspiration and appearance became Western in nearly every aspect in less than one hundred years. . . . By the end of the eighteenth century, the only relationship the Chinese export teapot had with China was its location of manufacture and the tea into which it breathed life. And tea, after all, is where it all began. . . .
*Maldini, Irene, “Design History of European Tea Cups and Saucers,” Master’s thesis, University of Amsterdam, 2012. †Shirley Mueller, email, Sept. 9, 2016. §Shirley Mueller, pers. comm., Sept. 2016. 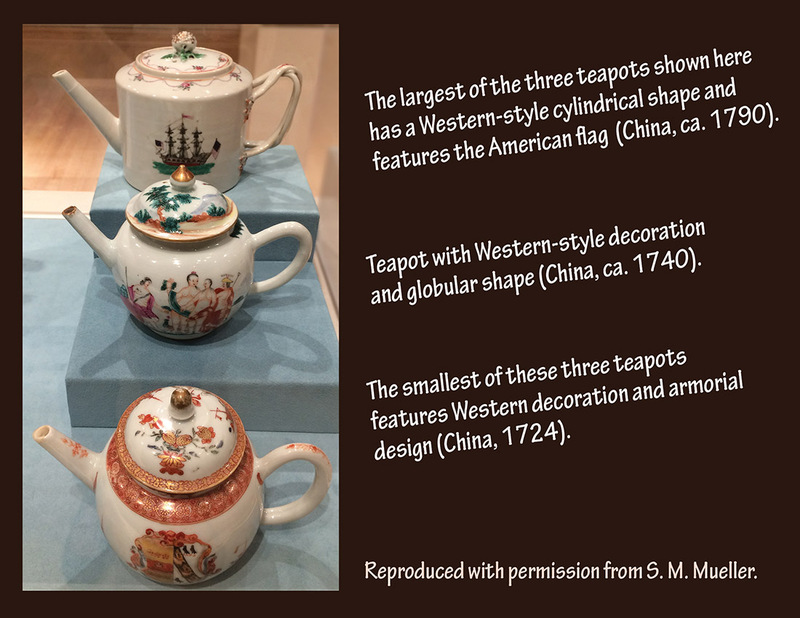 **Mueller, Shirley Maloney, “Eighteenth-Century Chinese Export Porcelain Teapots: Fashion and Uniformity,” American Ceramic Circle Journal XIII:5–16, 2005. Note: tea pictured above is Sumatra Barisan, available at teahouse.com. Next > Does Caffeine Protect Against Dementia?